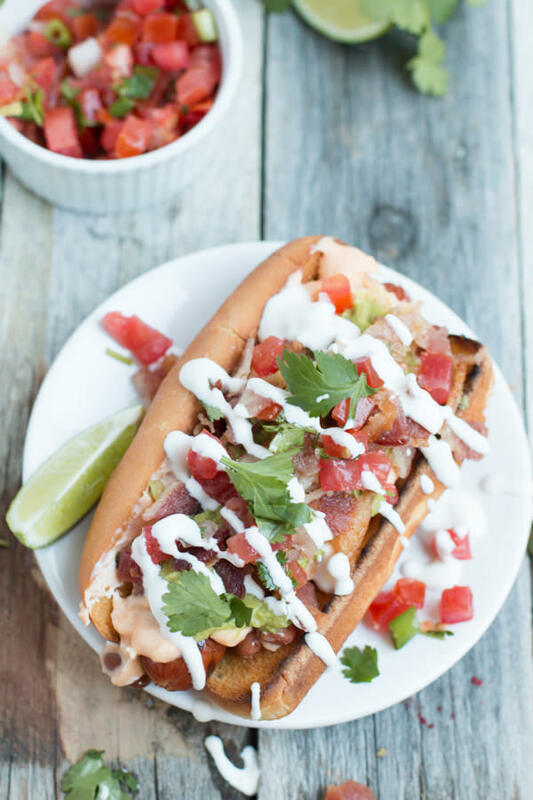 The Sonoran hot dog is a dog like no other. It's not topped with mustard and relish, the American dog's good old standbys. It hails from Northwest Mexico (near Sonora, to be more exact) and wears a costume closet's worth of hats: It's the perfect post-night-out drunk food and it fills eager stomachs with an assortment of stick-to-your-bones flavors. It caters to virtually every kind of tastebud. So why haven't you had one yet? The Sonoran hot dog is a food that's almost poetic in its design. It's essentially a hot dog that is wrapped in mesquite-smoked bacon, which are cooked together on a grill. The meat is then topped with a host of condiments: grilled onions, jalapeño salsa, beans, mayonnaise, mustard and cream sauce, in whatever combination the eater desires. It's all sandwiched in a bolillo, a crusty roll typically made in Mexico that's sturdy enough to cradle all of the accoutrements. It's a colorful sight. Like all great regional foods, the Sonoran hot dog has earned fans outside its home -- particularly north and west, in cities like Tucson, Phoenix and even San Diego (though some argue that Californians have ruined the delicacy). This recipe from Serious Eats includes refried beans and avocado on the dog, and this version from Foxes Love Lemons mashes the beans until they can be spread along the inner walls of the bun, ensuring a creamy bite in every mouthful. Depending on who's eating, you really can't go wrong with toppings if you stick to the basic Tex-Mex realm of flavors and ingredients. But in slightly off-the-rails versions, the Sonoran hot dog has met mushrooms marinated in soy sauce, nacho cheese, cottage cheese, and even crushed potato chips (though many would argue that this is not, indeed, a real Sonoran).